Enjoy beautiful fall foliage in Holmes County, Ohio Amish Country! Photo courtesy of The Farm at Walnut Creek. Enjoy beautiful countryside in Holmes County, Ohio Amish Country! First stop is Hershberger Farm Market and Bakery. Enjoy fabulous fall displays, produce, mums, and the best baked goods in Amish Country! Treat yourself to a delicious cider slushie or some delicious kettle corn (not included) while browsing the market. Visit the petting zoo and see the largest Belgian Draft Horse in the USA. Stop by the craft shop for fine locally made Amish baskets, toys, leather goods, and more. Next, be welcomed in an Amish home for a family-style feast. The Amish are so famous for these delicious meals! In the heart of Ohio Amish Country, is the Farm of Walnut Creek. This is a working farm which also hosts over 500 animals, comprised of species from six of the seven continents. 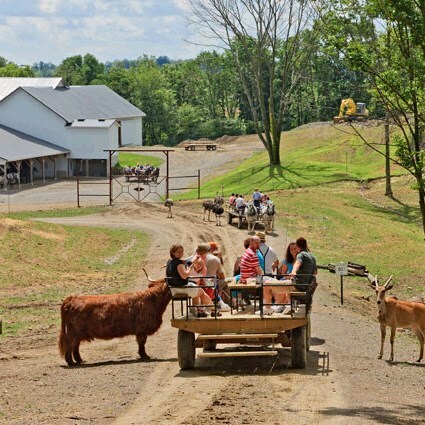 Enjoy a wagon ride through the park, feed the animals right from the wagon! Tour the Amish home. 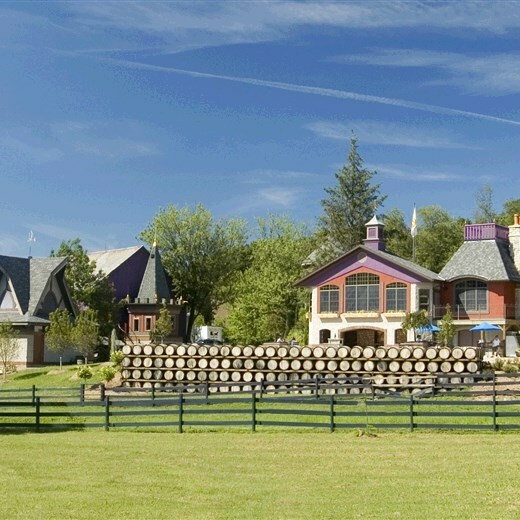 Your last stop is Breitenbach Winery. The name "Breitenbach" is German, meaning "bright or broad stream", and is the name of the stream that runs through the winery grounds. Enjoy sampling some of their most popular vintages. Includes: Transportation, family-style feast in an Amish home, admissions per itinerary, step-on guide, meal and guide gratuities, and taxes.